Happy to announce that if you’re in the Reno/Tahoe area you can now find us The Basement; well at least a part of us anyways. 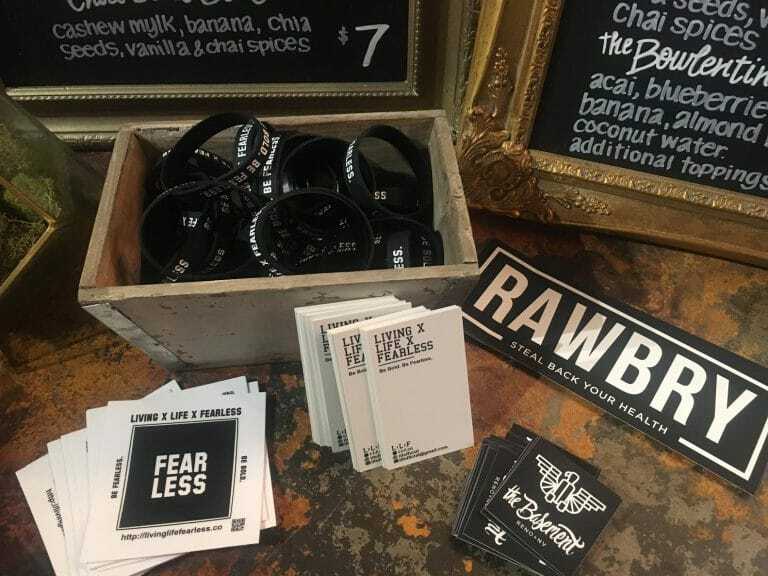 If you stop by Rawbry you can grab some of our bands, cards, and stickers. We’re extremely honored to be included in this amazing place and definitely hope to have more presence there some point in the future. Besides finding a little bit of LIVING X LIFE X FEARLESS there, you should really check The Basement out if you get a chance to because they’re doing some really cool stuff there. Started by a local go-getter, The Basement is located underneath a repurposed postal office and it’s a shared space of sorts that has a number of different shops (majority independent and local), gathering areas, and more. They’re our kind of people and we definitely plan on having more collaborations between us. Until then check it out and grab some L×L×F paraphernalia while you’re there!